At Criteo, our offices are a reflection not only of our company values but also of the culture and community in which each office is based! 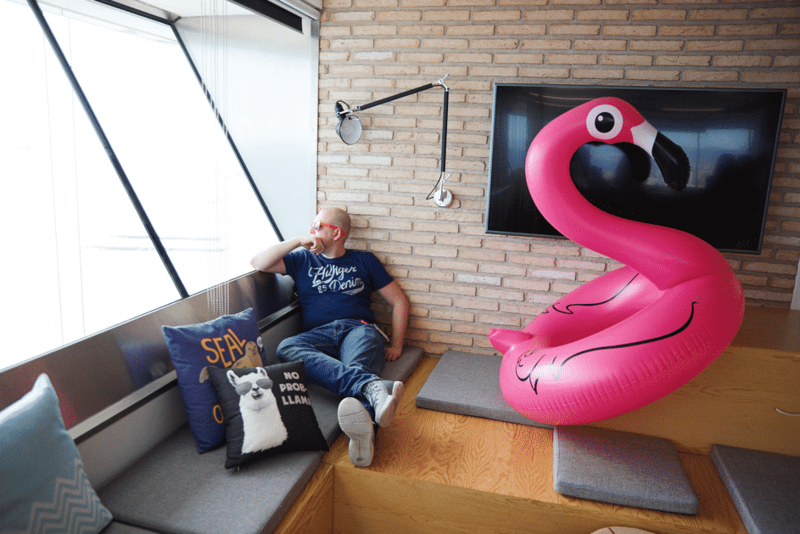 This week, we take a tour of Criteo Barcelona, where the sun seems to always shine and where, at just 300 meters from the water, beach vibes are very much welcome in the office. 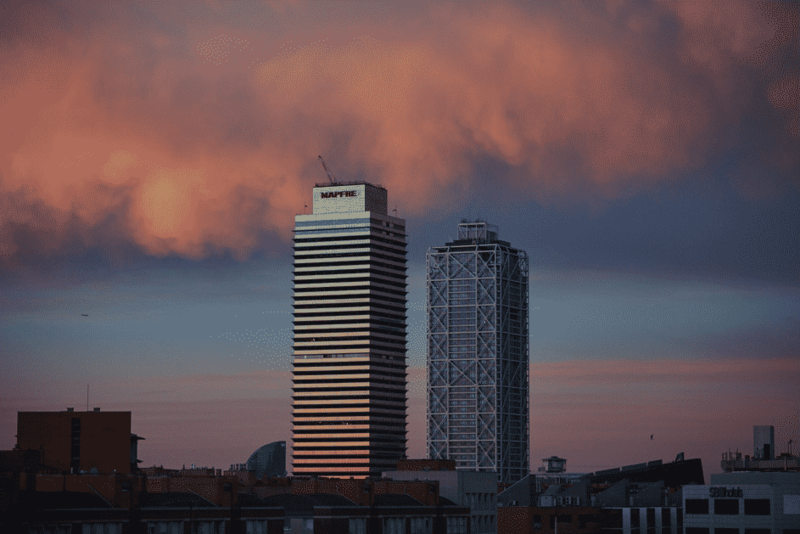 Located in the Olympic Port, Criteo Barcelona can be found across four floors totaling 4,400 square meters in a Barcelona landmark: the Mapfre Tower, one of the city’s two tallest buildings, along with the Hotel Arts. Can you spot the Criteos? We’re in the Mapfre Tower to the left. 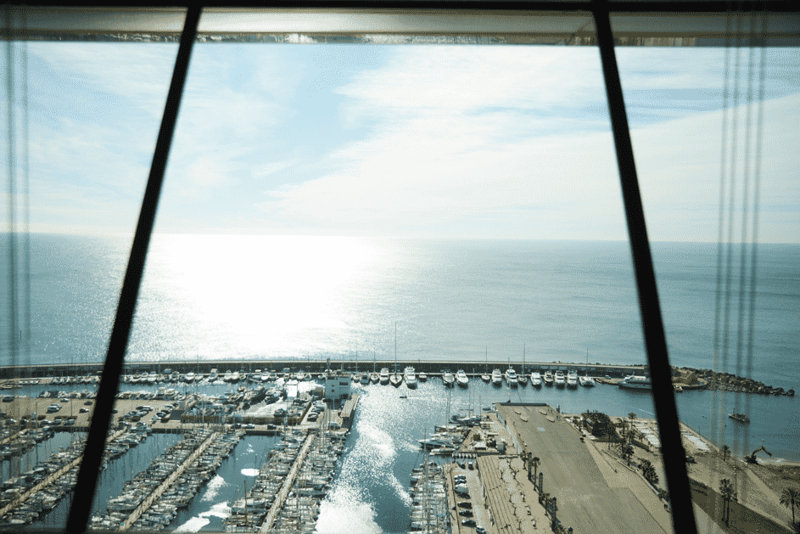 The area around the office, especially the Poblenou neighborhood behind the offices, is growing in popularity with the locals, and is just a ten minute walk away, but the defining feature – as with many of Criteo’s offices – are the stunning views. 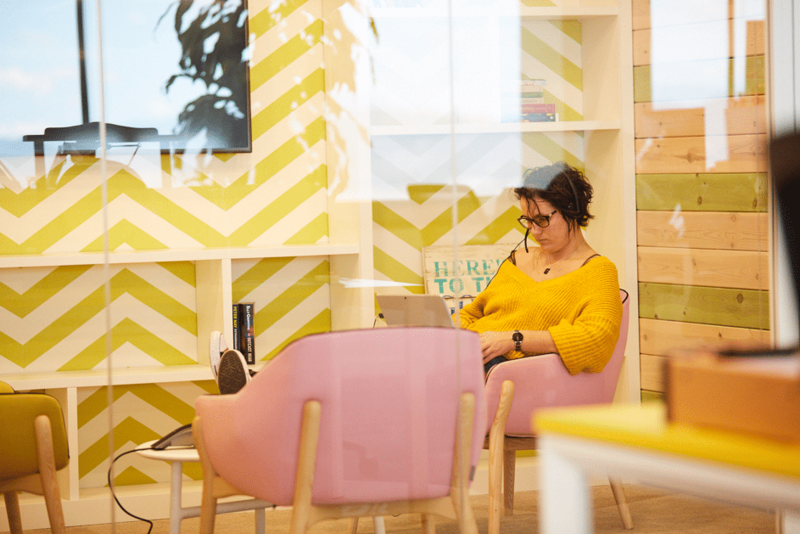 The office opened in two distinctive phases, the first two floors in 2014, when Criteo Barcelona was established, and then another two floors in 2016, when the office expanded. Today, we’ve got 341 Criteos working and enjoying life in and outside of our Barcelona digs. The office theme? The beach, obviously! 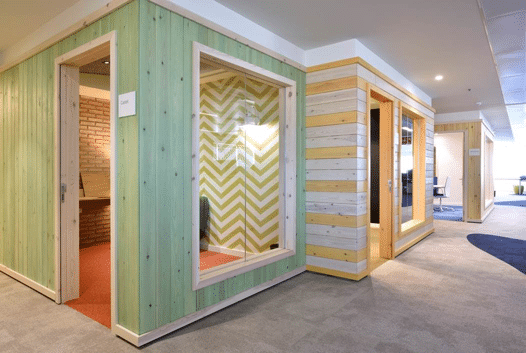 The interiors of Criteo Barcelona were designed with vacations in mind, that is, the traditional beach houses found in the costal villages of Catalonia. We’re just missing the sand and water, but the real beach is just steps away. Like lounge chairs, but with WIFI. Even with airy kitchen space for up to 75 people and coffee stations on every floor, team Barcelona still takes much of their activity outdoors. 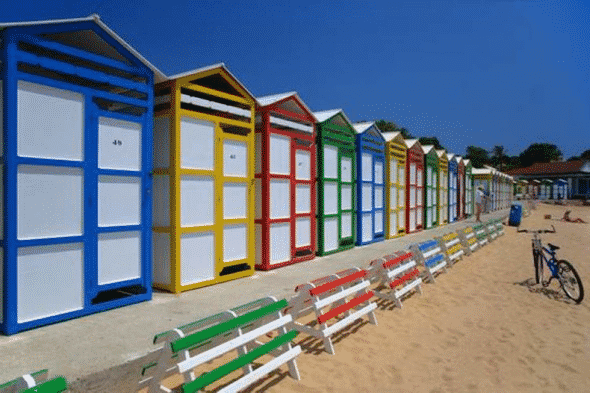 When the weather is nice, which is often, Criteos take their coffee outside, meet on the beach for Thursday morning yoga class, and ice cream Fridays. A Criteo wonders if he can squeeze in beach time between meetings. The flamingo considers staying in. Two Criteos getting ready to greet the sun. 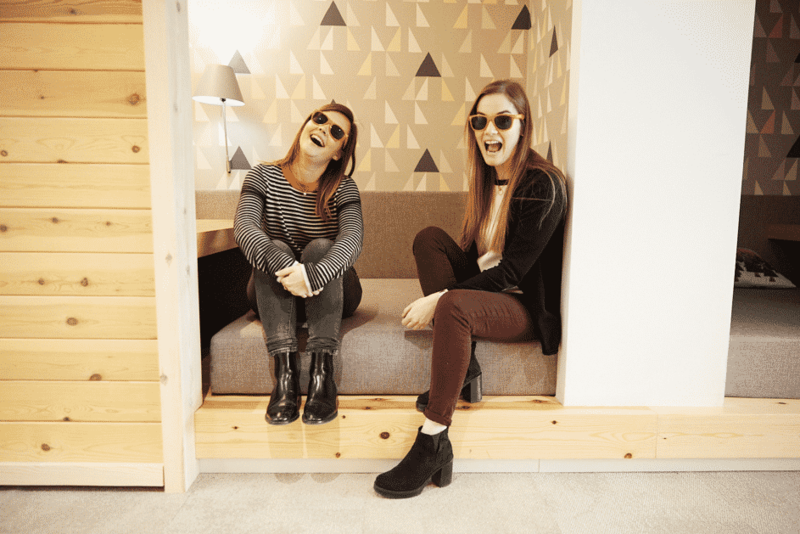 Or is the office so sunny they need sunglasses indoors? Want to work here? 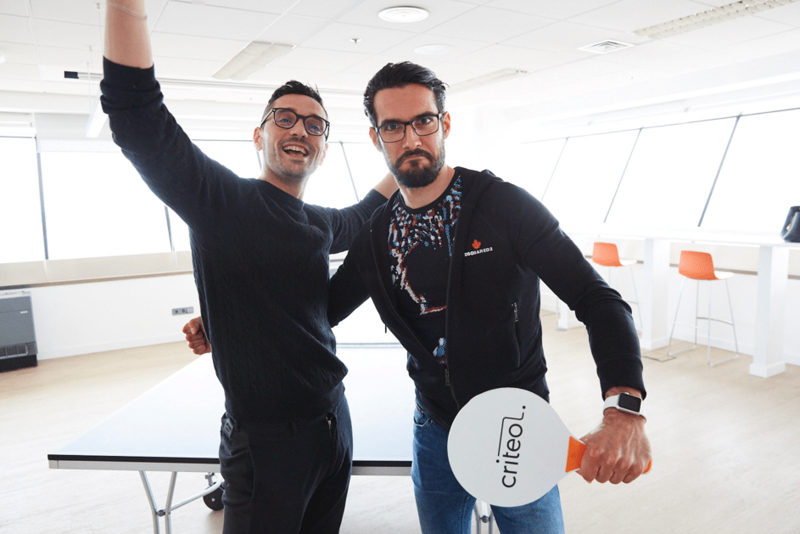 Check out our open roles at Criteo Barcelona. And read more about Criteo Culture here!